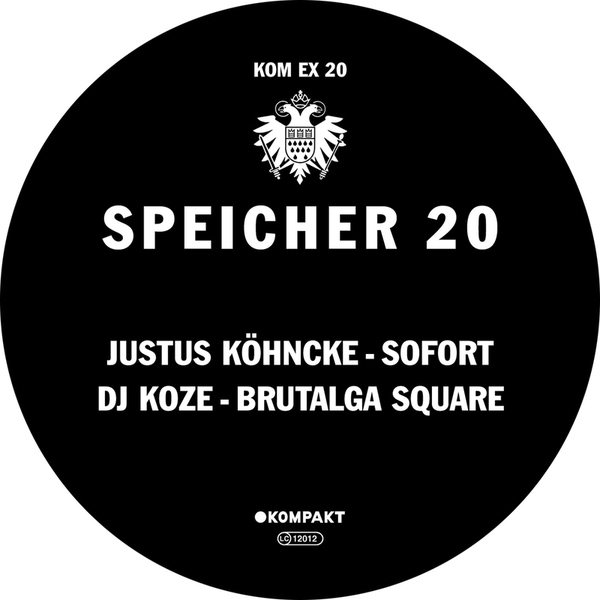 Two of Kompakt's rising stars drop killer cuts on the 20th Speicher, DJ Koze and our favourite Justus Kohncke both providing solid dancefloor cuts that sit firmly at the good end of Cologne's mighty Kompakt lab. Justus opts for the acidic side of things with an out and out builder that finds layers of drums and synths with that slight Germanic shuffle to the groove, but Koze heads into classic territory with bell synths creating a superb atmosphere that works a treat, a perfect start to what must be one of the finest tracks on Kompakt to date. Jump straight onto the deep side of Kompakt with this choice 12", winner.